Pierre Letellier, Decoboard Enterprise in San Bernardino,California. Decoboard Enterprise, which prints and UV cures wood grain and other finishes on directly on MDF, will be featured during the July 18 Finishing Symposium at the 2017 AWFS Fair in Las Vegas. 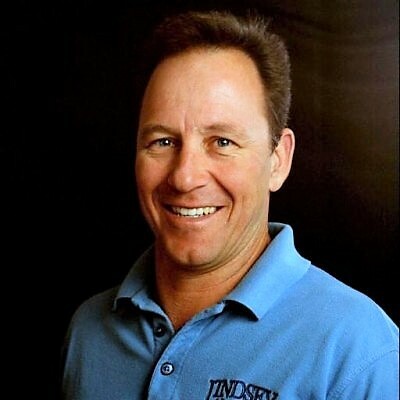 Pierre Letellier launched the business in 2005 in part to meet the needs of another company he owns, Lindsey Doors in Indio, California. But Decoboard soon expanded beyond that to serve a wide variety of customers, including plywood distributors and high-end architectural millwork companies, with product also delivered to the robust Las Vegas hotel market. Governmental regulations regarding emissions of volatile organic compounds (VOC) for solvent borne finishes have made it almost impossible to continue legally finishing product with solvents. Decorboard provides Lindsey Doors with a UV Finishing Program that helps its customers meet these regulations. Letellier will detail the latest developments at his firm, with attention to the unique requirements working in compliance with the California Air Resources Board (CARB) rules. A full-day finishing symposium before the 2017 AWFS Fair will explore new technologies and best methods that you can use in your business. Newer finishes such as polyester, polyurethane and UV finishes will be discussed, along with water-borne and low-emission products, and powder coating. The full-day seminar, developed by FDMC magazine, is an opportunity to bring questions to suppliers and finishing experts face-to-face. Phil Stevenson of AWFI, a leading finishing consultant, will talk about how to organize a finishing system within a company rather than training a person that could leave, as well as ways to measure finishing performance. Jason Chiu of Centre for Advanced Wood Processing will speak on problem solving in wood finishing, covering spraying and finish application, quality, dust mitigation, and finish process issues, including some of the newest methods and technology..
Len Smith of Sherwin-Williams will speak on what's new with waterborne coatings, and changing perceptions with advanced European technology. Gemini’s finishing expert David Jackson will discuss finishes that many shops have yet to adopt, like polyester, two-component polyurethane and UV. Phil Evans of the University of British Columbia will discuss research in wood finishing, based on work he and his students have done on coating formation, grain raising, cracking of finishes, blotching and other issues. Andrew Walton of Keyland Polymer powder coatings, will explain UV-cured powder coating chemistry and applications for these wood coating materials. Sames-Kremlin will discuss new developments in spray guns, paint and powder coating application, improving transfer efficiency and reducing VOCs. At the end, presenters and participating companies and specialists will answer direct questions about finishing materials, equipment and methods.